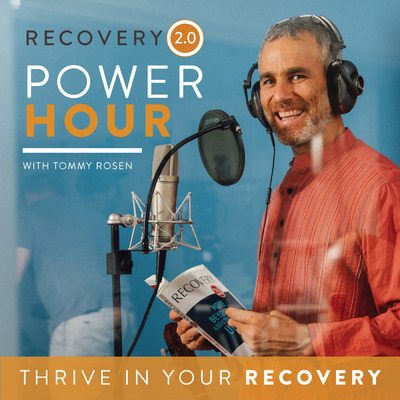 Join in as addiction and recovery expert, Tommy Rosen interviews leaders in the field of addiction and recovery, spiritual teachers, medical doctors, nutritionists, yoga and meditation teachers and wisdom keepers all shedding light on living beyond addiction. Tap into new perspectives on addiction and cutting-edge philosophies and practices to heal and thrive on your amazing path of recovery. Episodes premiere every Tuesday and Friday and you will not want to miss a single one. Tommy Rosen is a yoga teacher and addiction recovery expert who has spent the last two decades immersed in yoga, recovery and wellness. He holds certifications in both Kundalini and Hatha Yoga and has 24 years of continuous recovery from drug addiction. Tommy is one of the pioneers in the field of Yoga and Recovery assisting others to holistically transcend addictions of all kinds. Tommy is the founder and host of the Recovery 2.0: Beyond Addiction Online Conference series and the #MoveBeyond Group Coaching Program. He leads Recovery 2.0 retreats and workshops internationally and presents regularly at yoga conferences and festivals. Tommy’s first book, Recovery 2.0: Move Beyond Addiction and Upgrade Your Life, was published by Hay House in October 2014.